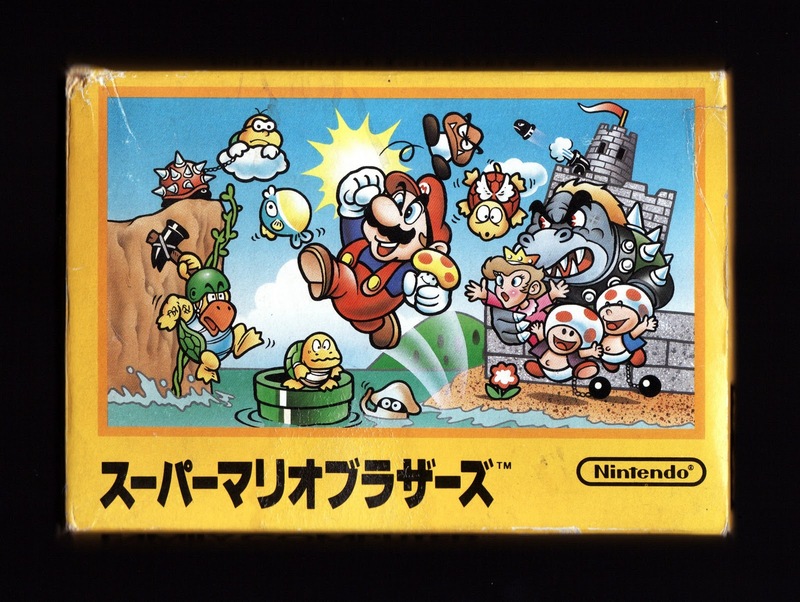 My question to anyone who owns a Famicom (or an NES) but doesn't own a copy of this game: What on earth is wrong with you? 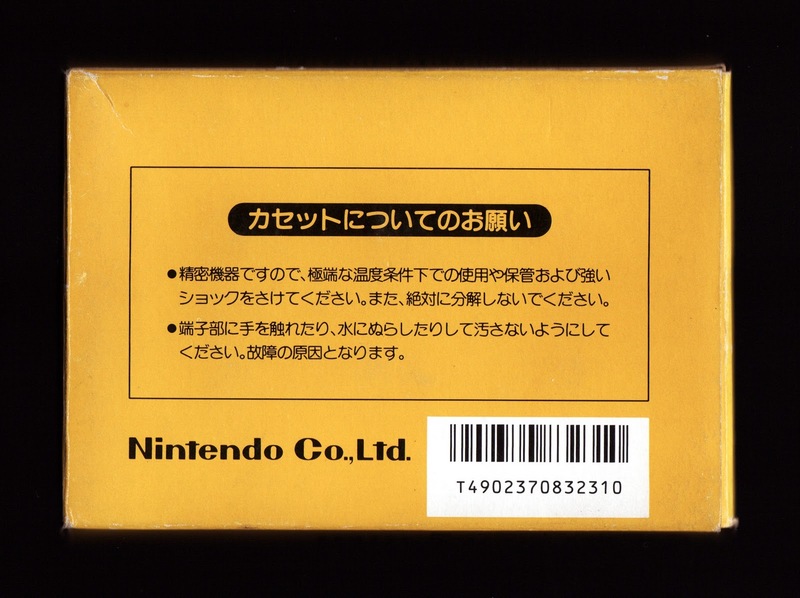 I know a large number of "must own" titles were released for Nintendo's first world-conquering console, but this one is the granddaddy of them all, and no Famicom/NES collection is complete without it. There are countless good reasons for that, of course, with the main one being that the game is supremely playable (and enjoyable) thanks to Shigeru Miyamoto and company's masterful programming--which makes all of the running and jumping and everything else in Super Mario Bros. feel so sublime--and level design. (Anna Anthropy, aka auntie pixelante, expertly expounds on the latter abilities in this blog post, by the way.) There's more behind the game's must-own status than that, though, or at least there is for me. I believe that another reason so many people have been enamored by Mario's first console outing over the years is how surreal it is. I mean, it's a bit like playing a dream, isn't it? A bizarre dream, admittedly, but a dream nonetheless. How else would you describe a game in which a mustachioed plumber battles walking mushrooms and flying turtles and once in a while plucks a flower from the ground that allows him to shoot bouncing balls of fire on his way to rescuing a princess named Peach? All true statements. And that article by Auntie Pixelante is AMAZING! She's so cerebral. Yes, auntie pixelante's article is amazing. I love it when she talks about game design. Kimimi: Super Mario All-Stars is a half-acceptable replacement, I guess :P I say that because I'm not much of a fan of All-Stars. I know that's crazy, but it's true. Even if I did like All-Stars, though, that game's box has nothing on this one, don't you think? You certainly can't beat an iconic illustration like that! What makes you not a fan of All Stars if you don't mind me asking? Yeah, I understand what you're saying, Kimimi. I actually don't completely hate the graphics of the All-Stars versions of SMB 2/USA and SMB 3, by the way (although I still prefer the originals). 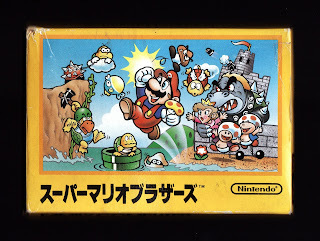 For some reason, though, I really don't like the overhauled graphics of the first SMB in All-Stars. I`m with you on the SMB All Stars version, Bryan. The original 8 bit version just can`t be beat. It just doesn`t feel like I`m playing SMB (or 2 or 3) when I use the SFC version. The only plus it has is the save feature. Ah, someone who agrees with me. Thanks, Sean! Anyway, yes, I agree with you--the All-Stars versions just don't 'feel' the same, let alone look the same. The save option is a good one, though, as is the ability to have all games on one cart.